At the University of Vermont's graduate business program, there is no minimum GMAT score or undergraduate GPA required for admission. However, test scores and one's official undergrad transcript will be considered—even more so for applicants with little to no work experience—in the admissions decision. Applicants should also submit at least two let...At the University of Vermont's graduate business program, there is no minimum GMAT score or undergraduate GPA required for admission. However, test scores and one's official undergrad transcript will be considered—even more so for applicants with little to no work experience—in the admissions decision. Applicants should also submit at least two letters of reference and an essay/personal statement. GRE scores, if current, and an updated resume are also advisable. While post-graduate work and real-world business experience are not prerequisites for entering the MBA program, applicants without these should be able to demonstrate a solid record of undergraduate work. The average GMAT for accepted students is 610, and the average GPA is 3.17. International applicants are required to submit TOEFL scores, with a minimum of 550 on the written test, 213 on computer- based, or 80 on web-based. They may also submit official scores from IELTS, with a minimum band score of 6.5. If a student has attended a U.S. institution for three or more years, UVM may waive the requirement for TOEFL/IELTS scores, determined on a caseby- case basis. Career Services at UVM School of Business offers resume and cover letter assistance, job interview prep, and a recruiting database, as well as regular career fairs and networking events. One student tells us, “UVM has a close connection with many Vermont business­es,” which would help explain why many graduating MBAs remain in Vermont or else­where in the Northeast. As the only AACSB-accredited program in the state, UVM MBA students have a virtual corner on the local market. Professors at UVM will go the extra mile as well. “They always make themselves avail­able,” says one student, “and are willing to meet outside of office hours.” Some are “amazing leaders and role models.” Naturally, as with almost any intense business pro­gram, students tell us “some are better and more dedicated than others,” but as one can­did student conveys, “The majority of the salient lessons I learned have come from other students in the business school.” Many students “work in green [industries] or have a green conscience component to their employment,” so an undertone of environmental awareness and social responsibil­ity permeates this school, no matter the discipline or course of study. The bottom line is “everyone is friendly, punctual, and dedicated to their work,” and while a competitive streak is present here like almost any other graduate business program, most students actively contribute to class discussions, making for an “intelligent and relevant” MBA program. In fall 2014, the University of Vermont will launch a new Sustainable Entrepreneurship MBA (SEMBA) program. The SEMBA program consists of a curriculum based on know­ing (classroom learning), doing (project-driven learning), and being (value alignment, self-knowledge, and reflection). Sustainability will be built into the foundation of the program. The SEMBA curriculum will begin by teaching students how to start a sustain­able enterprise, how to manage the enterprise as it grows, and then how to invest in its sustainability—its long-term viability. The program design includes teaching from a set of common business cases on a same enterprise that will allow the discussion of sustain-ability from different perspectives; business cases will draw upon the experiences of business leaders and entrepreneurs who will serve as guest speakers and co-teachers,and a number of courses will be offered by faculty from UVM’s Gund Institute and the Rubenstein School of Natural Resources and by the faculty of the Vermont Law School. The program will be delivered on a twelve-month calendar. It is a full-time, lock-step program and consists of 45 credits divided into five modules, including the 3-credit hands-on practicum during the summer. Applications for fall 2014 will be due January 1 and more information on the SEMBA cur­riculum and faculty can be found on the website (www.uvm.edu/business/mba). UVM Transportation Center; Gund Institute for Ecological Economics, Vermont Business Center; Vermont Family Business Initiative; Technology Center, and Vermont Center for Emerging Technologies. 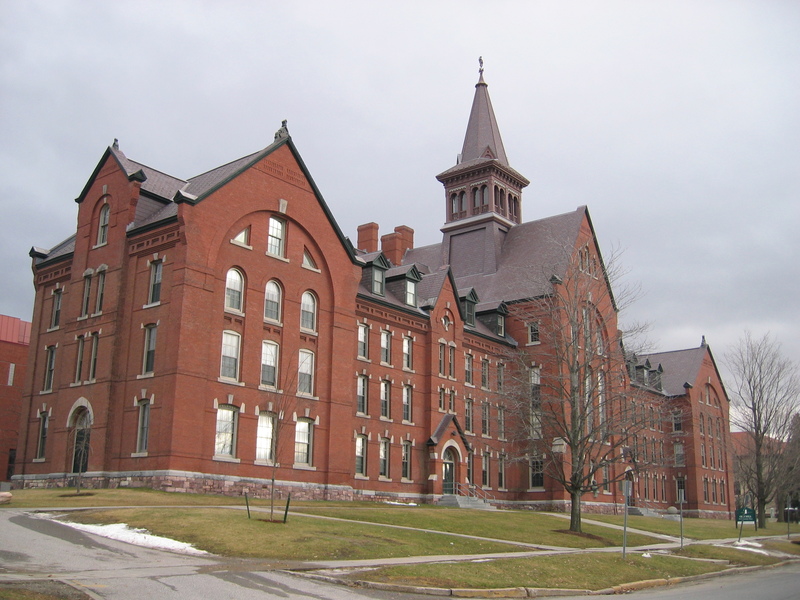 Want more info about University of Vermont School of Business Administration Full Time MBA? Get free advice from education experts and Noodle community members.